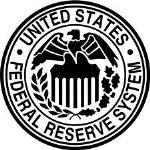 The Federal Reserve System employs research economists who publish on a wide variety of topics. This research is published as working papers or in Federal Reserve publications (usually the Banks' economic reviews). The earliest research materials date back to 1914, but the bulk of economic research produced by the Federal Reserve began in the early 1970s.